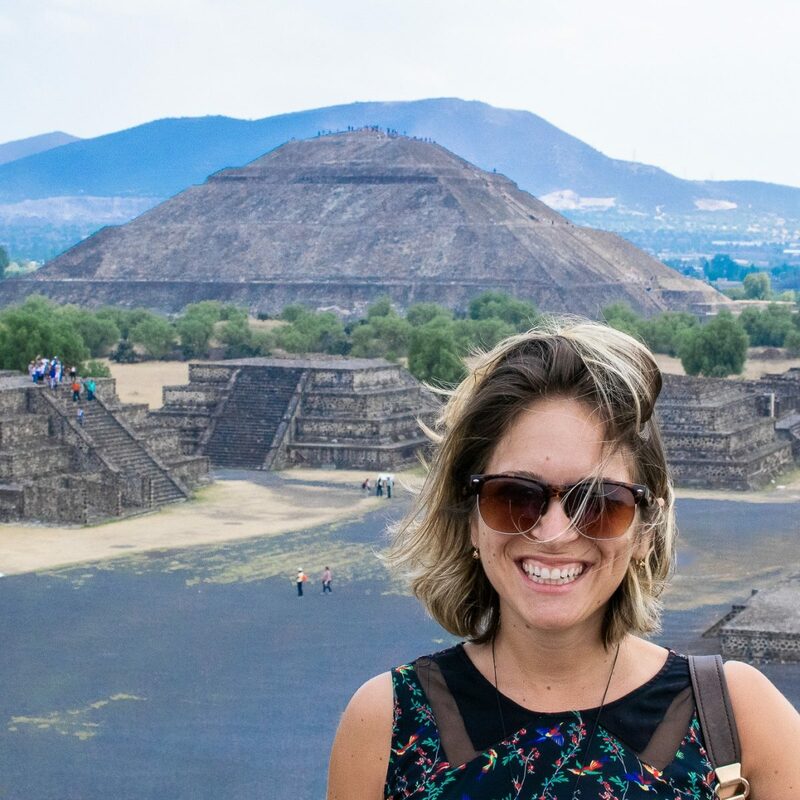 If you’ve been around a little while, you may remember that I used to write a post every month about life as an expat in Mexico City. Instead of doing that, I now send out monthly newsletters. If you want to know more about life in Mexico or want to follow along with my journey a bit more closely, you can sign up for the newsletter at the bottom of this post. I promptly erase that and shake my head at myself because nobody likes that guy. This month I’ve been swamped with copywriting work which is amazing, but also exhausting. By the time I get around to working on my blog or, you know, having a life, I’m so tired that I just want to sit on the couch and binge-watch The Office starting with season 1. It’s been a great month and I’ve learned a whole lot about managing my time that I will definitely be taking over into June. I got rid of a lot of expenses this month. Not because I’m trying to cut costs, but because I realized I was wasting quite a lot of money on things that weren’t adding much value. I got rid of my VA last month because I just felt like I was doing what every other blogger was doing. I haven’t seen any drop in engagement or readers since losing the VA. In fact, this has been one of my biggest traffic months ever. I also got rid of BoardBooster. I’m trying to learn more about Pinterest and Facebook and as the algorithms change and social media gets smarter, all of these sorts of automated things end up being useless. Some even hurt your engagement. Since getting rid of BoardBooster, I’ve seen a pretty big increase in my Pinterest traffic. I’m not positive that the two are related since I’ve also implemented a few other things on Pinterest. Still using Mailchimp. My email list grew quite a lot this month, I’ve hit over 1,000 subscribers on Eternal Expat (THANKS SO MUCH YOU GUYS!!!!) so I think starting next month I will be switching over to ConvertKit to see what everyone’s been raving about. As always, Mailchimp costs me $15 a month. I’ve dabbled in Pinterest ads this month to see if I can gain some traction on already popular pins. I’m pretty happy with the results, so will probably be doing it again with a bit more fervor next month. This month I spent $20 on Pinterest Marketing. This number will definitely increase next month, I didn’t even mean to skimp so much on expenses! I spent all month in Mexico City basically chained to my desk trying to clear a backlog of posts as well as attack tons of copywriting and freelancing jobs. I’m really happy with my income this month and already have tons in the pipeline for June which is amazing. I’m still trying to figure out how to balance all of this copywriting work with my blog and other freelance commitments. It’s definitely something I need to get better at. Once again, the bulk of this month’s income came from copywriting. I know this is probably short lived, so I’ve been taking as much work as they’re willing to give me. As I mentioned a few months ago, most of my copywriting jobs come from a website called Copypress. I also write for another website called Blogmutt every once in a while. This month I made $2,556 through copywriting work. I backed away from sponsored content on the blog this month because a lot of what I’ve been receiving lately has just been absurd. Either people want me to write tons of posts for them for like $5 or they want me to write about things that have nothing to do with travel. I’m hoping to reach out to some companies that I truly love this summer to bring you guys valuable content that actually fits with Eternal Expat. In April, I made $65 on sponsored content. I’ve started to regularly contribute to a website called Travioor as one of their Mexico City writers. It’s been fun to have another outlet to write about this amazing city and spread the word that it is pretty freaking awesome. This month I made $153 on freelance writing. I was slacking on Youtube at the start of the month, but have been editing tons of videos to upload and am noticing how being active on my channel brings me a lot more views and subscribers (I guess that’s probably crazy obvious). I have almost 250 subscribers and I’m aiming to have 500 by the end of the summer. This month I made $6.50 on Youtube ads. Once again I haven’t had a chance to really put much effort into building my affiliate marketing strategy, but I’m slowly implementing the things I learned in the Making Sense of Affiliate Marketing Course. It really is invaluable and every time I tweek something or go back to her course to understand what to do in different situations, I earn a little bit more and feel more confident about putting myself out there. This month I made $80.64 on Affiliate Marketing. A slight decrease of $152.91 from April. Looking forward to popping this number back over $3,000 next month! As always, thank you guys for following along on this journey with me. I hope these income reports help you in some small way and if you ever have any questions about earning money as a digital nomad – feel free to drop them in the comments or send me an email! Great work this month. Almost $3,000 and you reached 1000 email subscribers. That is definitely something to be proud of. Keep up the great work!